Hard as it may be to believe, the new year is almost upon us. Where 2013 went is anyone’s guess but, now that it’s almost gone, what better way to start the new year off than by throwing yourself into some ice cold water. It’s the 26th Annual Polar Bear Plunge, taking place at Hollywood Beach in Port Angeles, WA between 10 and 11am, on New Year’s Day! A Polar Bear Plunge, in case you haven’t already figured it out, is an event where you don a swimsuit and willingly jump into the frigid waters nearby – in this case, the Straight of Juan de Fuca – during the cold season, such as the first day of the new year. Now, you’d think this is something only crazy people would do and, thus, not be an event you’d find crowds at but, in fact, Polar Bear Plunges attract people just because the idea is crazy. Lots of people. Last year’s Polar Bear Plunge attracted hundreds, even if less than a hundred actually hit the water – but still, it’s an event whose attendance grows every time it is held. Some folks even go into the water over and over again! But here’s the best part – if this kind of activity sounds totally bonkers to you, you can go as a spectator! That’s right, make a day trip out of it! Watch some loons jump in the cold, cold water and, afterwards, check out some wineries! 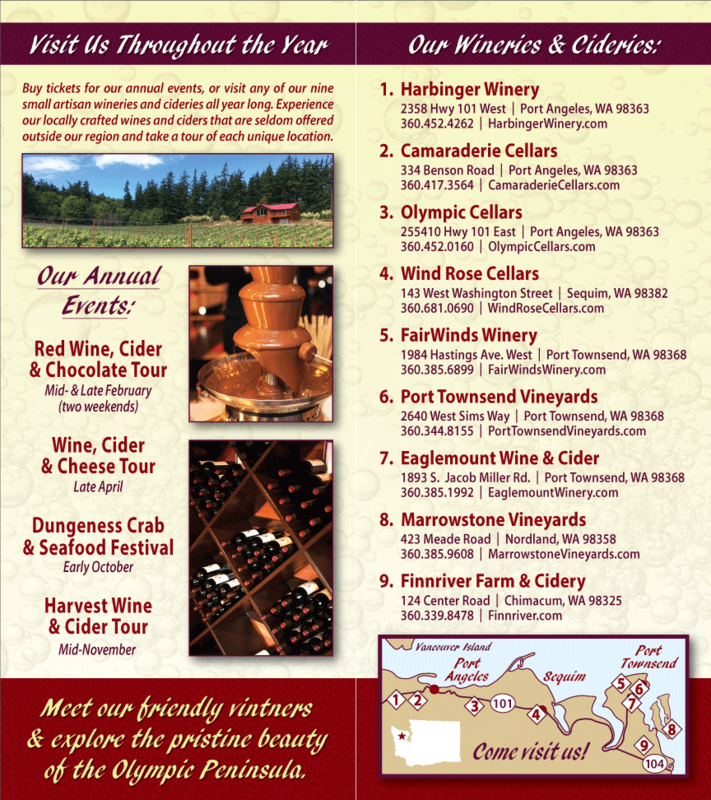 Depending on where you’re coming from, we have at least four wineries right in the area – most should be open on New Year’s Day and would love to see you.